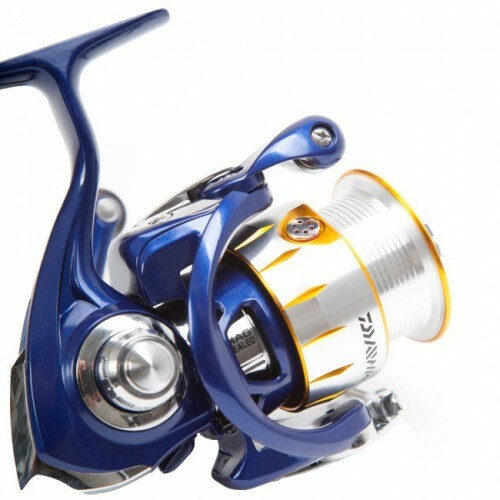 The Team Daiwa TD-R reel is an improved and updated version of the original TDR reel. Boasting hugely updated features but keeping the iconic midnight blue cosmetics, the TD-R is a reel that proudly holds the Team Daiwa name. 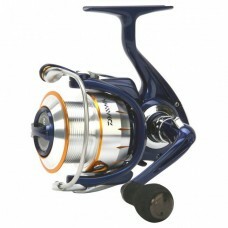 The Team Daiwa TD-R has been engineered with Mag Sealing technology. This is a technology borrowed from the scientists at NASA, who were looking for a way to safely transport fuel into space. The result was this: a magnetic oil that, once magnetised, formed a faultless, durable, seal between the two surfaces. The Daiwa team was quick to realise that this would be perfect for use inside its top end reels. Not only does it stop any water (including highly corrosive saltwater) from entering the reel rotor, but it also stops any dirt, grime, or dust from building up too. This significantly extends the lifespan and performance of the reel, as it eliminates the premature corrosion of the reels delicate parts. Not only this, but the oil forms a near-frictionless seal. This allows the reel to move in the way it was designed, without fatiguing. You’re left with a perfectly performing reel that can last a lifetime. Designed with match fishing in mind, this reel is fitted with an HIP line clip which allows the match angler to have maximum distance control over their casts. The HIP line clip ensures that you can cast with accuracy consistently, without worrying about damaging your line. Sprung loaded, the HIP line clip acts as a shock absorber – perfect for those distance casts or aggressive takes when you’re fishing on the button. Air Rotor technology makes playing fish a dream with this reel, and the Team Daiwa TD-R is also fitted with Daiwa’s QD system. This is a feature which is most often found on big pit carp fishing reels, but it comes into full effect in this match reel – giving the angler maximum control over their quarry. Available in three sizes, the 4012 is perfect for those anglers looking to target the largest of fish with the heaviest of setups. The 3012 is perfect for all your standard match work and the smallest 2508 is ideal for when delicacy is key.